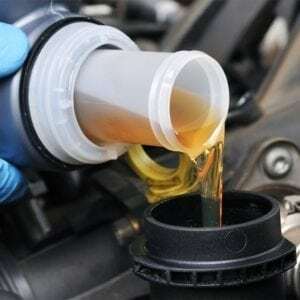 What is an oil change for, exactly? Simply put, oil is used in cars to lubricate the instruments. The lubrication is important to prevent friction, especially since our engines are designed with elements rubbing against each other to create energy. Because the engine demands so much use from the oil, eventually the chemical construction of the motor oil breaks down and can no longer provide lubrication. Without the lubrication, engine parts are rubbing directly against each other, the results of which can cause severe damage and, ultimately, stop working altogether. Therefore, old, less effective oil needs to be drained and new, fresh oil needs to be added to ensure proper lubrication. On average, an oil change will cost between twenty and thirty dollars (sometimes less if you find a promotion) and more for synthetic oil. Synthetic motor oil will most likely be double the price, but that’s because it’s a higher performing oil. You can refer to your owner’s manual or ask the mechanic which type is right for your car, but as long as you are keeping up on your oil changes, conventional oil is generally fine. For that twenty to thirty dollars spent now, you will be saving your engine from enormously costly repair down the line. Think of it as preventative medicine for your car. Plus, most mechanics like Suncoast Auto will include other life-extending services along with your oil change such as tire pressure checks, hose inspections and transmission fluid top-offs. The price may go up if you need to replace your oil filter, or if during your overall inspection your mechanic suggestions a new air filter, hose, transmission fluid, etc. At this point you may feel up-selling pressure. Certainly, there are mechanics who are out to make money. So it’s important to find a mechanic you can trust. In most cases when add-ons are suggested, it’s for the health of your car so you won’t be back in a few months time being towed because your hose burst on the highway or your engine stopped because the air filter was too dirty to let air flow through. One other oil change bonus to save you money: you’ll save gas mileage! New oil is slick and will easily allow the movement of engine parts. Older oil gets gummy, causing the engine to work harder to perform. And when the engine works harder, it must burn more fuel. How often do I change the oil? There is no absolute answer to that question. The average suggestion is every three to five thousand miles. Factors can alter that estimate. For one, synthetic oil has a longer lifespan than conventional oil (it’s chemically engineered to not gum up as quickly, especially in extreme temperatures) allowing more time between oil changes. Also, if you spend a lot of time in heavy stop-and-go city traffic, you are causing more of a strain on your engine and may need an oil change sooner. Your mechanic will give you their best estimate of when to come back, and will usually put a reminder sticker on your driver’s side windshield. The reminder will often say to return either when you’ve reached a certain mileage, or in approximately three months. Since an oil change is basically the cost of dinner for two, even if you happen to be returning a bit earlier than your car needs with that estimate, you’re only helping the health of your engine in the long run.